Guitarist Florante Aguilar's Blog | Guitarrero. Compositor. Haranista. Florante Aguilar’s interview at the Asian American International Film Festival’s New York premiere of HARANA. The original publication can be found here. 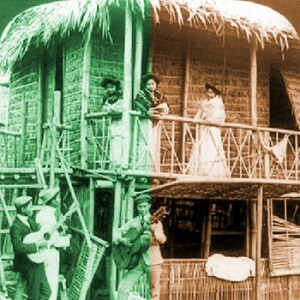 Harana is a long-abandoned Filipino courtship serenade, which originated in the Spanish colonial period. In this award-winning documentary, guitarist Florante AGUILAR returns to the Philippines from the US for the first time in twelve years to discover three of the last remaining harana masters: a farmer, a fisherman, and a tricycle driver. HARANA emotively weaves their performances to exemplify the past and present, the here and there, and the rural and urban. CineVue: The film is first and foremost a roots-seeking story, or can be read as a confrontation/reconciliation with one’s roots. What is the importance of yearning and nostalgia of a so-called homeland in films like yours? What function does this serve in your story? Florante Aguilar: I think this question is particularly astute because HARANA in its deepest level, is a love affair with the homeland. It is the innermost driving force of the movie. Being a musician, the only way I knew how to express that love is through music. One of the things that we did not cover in the film is the fact that I left the Philippines in 1987 because I hated everything about my country – the politics, the rampant corruption, the over-reliance on religion, the hopelessness, etc. I felt that I could not live and belong in a culture like that. Inwardly, I renounced being a Filipino and left for the US ready to embrace the western culture. But the death of my father forced me to return after 12 years of absence. And that’s when the reconnection happened. This time around, I saw the Phlippines in a different prism and I was suddenly in love with the Philippines. Suddenly, I felt like I belong. So, it’s not nostalgia per se but rather the power of that transformation – from hate to love – that moved me to do it. Maybe it’s also an apology and an attempt to make amends for renouncing the homeland. CV: Because of the power of music, the beautiful melody and the tenderness and sorrow in the voices of the singers, many would agree with the proverbial saying that “There are no languages required in a musical world.” How have you utilized music in your film? Could you describe how music has affected your creative processes (from preproduction to production to post-production)? FA: During pre-production, all I had was this notion that these authentic harana practitioners or haranistas must still be around, very old, and living in far-flung provinces. Musically, all I had were the remnants of harana music or songs I happened to know that survived through the ages. I heard them when I was growing up in the province and also through the pieces my mother played on the piano. During my so-called transformation, I started playing harana which I arranged for classical guitar, resulting in three solo albums. But I also felt that this was just the surface, that there must be many more unheralded songs. I fantasized about unearthing a treasure trove of beautiful courtship music and forming an ensemble of authentic haranstas. Well, I wanted that fantasy to come true. And I determined to look for them in the provinces where harana was prevalent. As we were traveling from province to province during the production shoot, there were points when I realized that I must be just fantasizing – that this search is just some romantic notion. And that if we did not find anyone, I was ready to conclude that harana was truly dead. Then we met Celestino Aniel, a farmer from the province of Cavite. I can’t describe the first time he sang for us as I accompanied him on the guitar. I think the whole crew was in tears – he sang in such a heartfelt and humble way that could only come from being a true haranista. We all realized we were in the presence of great master. Then we were truly blessed to find two more amazing haranistas – one a fisherman, the other a tricycle driver. CV:”When you do harana, you rarely get turned down.” When the harana masters are singing, there always a few shots of women as audience members, who appear to be quite touched and moved by the music. How does gender figure into the musical scene? FA: It’s interesting because I was just reading an article about the science of music and why humans play music. It concludes that men who are able to play musical instruments advertise to potential mates that they are in top physical, emotional and spiritual shape. That’s pretty Darwinian. It is the same as the peacock displaying his plummage to advertise to females what an amazing specimen he is! So there! Music was “invented” for courtship purposes. And that is what harana is. CV: When you were making the documentary, what was the reaction of the local audiences? In many scenes when you perform for the audience, there are genuine interactions between you and the locals. Do the general public still feel attached to the old-school melodies and performances? FA: There is a scene in the film when I was playing at Plaza Morga in Tondo, an area in Manila known for gangs, prostituion and poverty. It’s like the favelas in Brazil. When we set up there, we just did not know what we were going to get. Our director Benito Bautista was fantastic in connecting with the locals, making them feel comfortable in the film crew’s presence and allowing us to shoot incident-free. Placing a classical guitarist in the middle of traffic in Manila is pretty crazy but I wanted to do it because I’ve always believed it’s a more powerful experience when you bring music to the people’s elements, as opposed to a concert hall. Most people in Tondo probably never heard of a classical musician, much less see one playing in their streets. And their reactions was deeply humbling. Gang members were asking me to play some of the old songs that they still knew. When the crowd surrounded me and started singing along, I knew we caught a very special moment. I like to think that for those few moments, they were transported to a space where they forget about their dailty grind and hardships, and were momentarily inspired and hopeful. CV: Could you describe you interactions with the three masters during production? What was it like? What were some eye-opening things you endured, experienced and will remember forever? FA: We were at a beach house in Ilocos Norte. We weren’t shooting that day. I was recording the haranistas on my laptop, just basically documenting their songs. I was so moved by their singing that at one point I started to well up. I guess I was too embarassed to cry in front of these men so I had to excuse myself and headed for the restroom. I cried like a baby in that dingy bathroom. CV:Is this film raising any awareness of the legacy? What’s at stake now to preserve it? FA: I was at a film festival screening of HARANA a few months ago. During the closing night, it was announced that HARANA had won the Audience Award. The festival organizers said a few words about HARANA. What struck me was that they talked about the harana custom like they have known it all their lives. I mean the harana tradition, prior to the movie, was just an obscure custom nobody paid attention to, and now they are talking about the harana custom in the international stage. I thought that was an important moment – that harana has arrived. I actually didn’t set out to create the film in order to preach preservation. And I made sure that the film does not come off preachy. It was driven by my desire to discover, learn and record these beautiful yet unheralded music. And I was expressing a reconnection to the homeland the only way I knew how – through music. 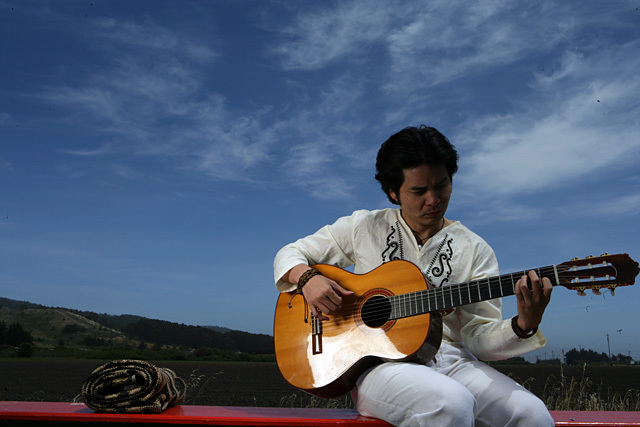 San Francisco, CA June 29, 2012 – Master artists discovered in the soon to be released documentary “HARANA” coming to California as they embark on a rare concert series to promote the film and their debut album with world music guitarist Florante Aguilar. In Collaboration with OACC and PAWA Inc. The Philippines’ tradition of harana has been rapidly vanishing in its home country and most people throughout the world are completely unaware of its influential music that for many years had inspired the Philippine country with hope, beauty and love. Harana was a traditional form of courtship in which men serenaded women by singing underneath her window at night. It is famous for its set of protocols, a code of conduct and most importantly, a specific style of music. An important custom of Filipino culture, harana has been teetering on the edge of disappearance for some time, but through the untiring and valiant efforts from a group of filmmakers, harana has been given a chance for survival. World music guitarist Florante Aguilar along with producer Fides Enriquez and director Benito Bautista have been hard at work producing Harana, a documentary highlighting and saving the tradition that will once again reignite the passion and treasure that is harana. Together, they discovered Felipe Alonzo, Celestino Aniel and Romeo Bergunio, three men with simple lives in the Philippines who exemplify the definition of a true harana master. Now known as the Harana Kings, not only do these master haranistas star in the upcoming documentary, but they have been formally invited to perform in an exclusive concert series in California. Having never been far from their humble lifestyles, coming to American is surely a once-­‐in-­‐a-­‐ lifetime dream come true. They will begin their exclusive tour in Los Angeles by participating in the unprecedented July 8th concert “Apl de Ap Takes You to the Philippines – A Celebration of Global Filipino Music” at the Hollywood Bowl alongside big acts such as Martin Nievera, Nicole Scherzinger, Sandwich, and Apl de Ap with members of the Black Eyed Peas, before coming to the San Francisco Bay Area for three more not to be missed performances. The concerts will also launch the release of the album “Introducing the Harana Kings“, a result of the Harana documentary film. The Harana Kings will join Florante Aguilar to perform a number of tracks from the album and this will be the only time the Harana Kings will be performing live in the United States in what will surely be an event that not only celebrates Filipino history, but a momentous occasion for anyone that has ever dared to dream. Upon his father’s death, Florante, a classically trained musician returns to the Philippines after 12 years of absence. During his stay he rediscovers the music of Harana – a long-forgotten tradition of Filipino serenading when men sang under the window at night to fearlessly declare their love for a woman. Intent on unearthing these unheralded songs, Florante travels to the remote provinces where he discovers three of the last surviving practitioners – a farmer, a fisherman and a tricycle driver. Astounded by their golden voices, Florante asks them to travel with him to perform and record these unknown songs. During their travels, the haranistas meet Brian, a shy young man who for years has been secretly in love with a schoolmate. The haranistas, who have not serenaded in the last 30 years, offered their services to serenade Brian’s object of affection, resulting in one of the most tender moments of genuine harana captured on film. Word soon spread around Manila of leathery faced men whose style of sincere and expressive singing touch the hearts everywhere they sang, culminating in a series of triumphant live performances – from a small village to prestigious concert halls to recording the first authentic harana album in the last 50 years. But the question remains – can the harana tradition be restored to its former glory or is it doomed to vanish silently into the night forever? Pandangguhan/Lawiswis Lawayan – Florante Aguilar Ensemble I was once chastised for using a distinctly Latin rhythm on a popular Filipino harana song ‘Sa Gitna Ng Dilim’ on the opening scene of the Harana The Movie trailer. “Travesty!” they say, a bastardization of the noble harana rhythm. “This guy should be shot”, etc. One person even said that I used the cha-cha rhythm on a harana, never mind that the rhythm was nowhere near a cha-cha. But one remark stood out in particular that became the seed of this blog topic – “the harana is a Filipino original and should not be treated with Latin rhythms”, proudly wrote an anonymous poster. The rhythm I applied to “bastardize” the harana song and which caused so much consternation among “purists” is called tempo de bolero. Particularly, Cuban bolero in 2/4 (not to be confused with Spanish bolero which is in 3/4 as in Ravel’s Bolero). ). We don’t know how that started – it seems only Filipinos refer to this rhythm by that name. 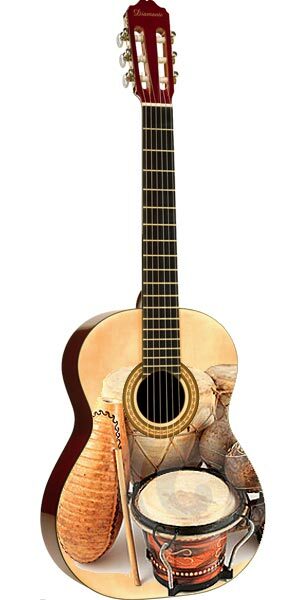 Outside the Philippines, the very same rhythm is called tempo de habanera from the old Spanish port of Havana, Cuba. I suspect that Filipinos came to call it danza as short for danza española. So, if Filipinos don’t own the danza rhythm at all, aren’t we just being copycats? Well, no. What Filipinos did was to take that rhythm, put their stamp on it, and made it their own. Specifically, we slowed that rhythm down to a grind and symbiotically paired it with the poetry of the Tagalog language to form courtship songs. And it is clear the same process had been happening during Spain’s Magical Mystery Grand Colonization Tour. At each stop, the natives took the Spanish rhythms, played with it and made it their own. And the result? Argentina has tango. Cuba has son. Mexico has mariachi. And Philippines has harana. I don’t think they bought it. But we had a hell of a time performing Filipino music using Latin rhythms. It worked like magic which in itself proves the point (see video below). And to the detractors and harana “purists”, they certainly do not have to like it. But denying a clear commonality with other Latin rhythms is at best unenlightened and at worst having a misplaced sense of righteousness. We do agree on one thing though – that the harana is truly our own. Admit it. If you’re Filipino, you are a sucker for corny ballads. You go teary-eyed on some of the sappiest American pop songs. Even boxer Manny Pacquiao belts out an old tune from the 70s (Sometimes When We Touch by Dan Hill) on late Night with Conan. When I was growing up in Cavite in the 70s, all the jeepneys blared slow American rock songs with sad undertones (e.g. Scorpion’s Always Somewhere, Deep Purple’s Soldier of Fortune, etc). Now these songs were never that popular in the States but Filipinos picked it up like their own. I come to Manila 20 years later, they are still playing the same songs. And don’t get me started with Barry Manilow, who to this day is considered a demigod in the Philippines. But have you ever wondered why? Is it because pensive songs befits the slow pace that the weather dictates? What is it about Filipinos that get attracted to corny ballads like moths to a flame? If you’ve read my past blog entries, I think you know where I am going with this. I believe there is such thing as national identity through music. If you look at Brazil, their songs are almost the opposite – more joyous, celebratory and extroverted. While Portugal’s music almost has the same penchant for sad songs as Philippines. Of course I am not generalizing, but merely pointing out patterns of inclination and predilections (isn’t that the same thing?). I submit that the Filipinos’ penchance for sad and pensive songs is a manifestation of the primeval kundiman sentiment. It’s a direct result of the national affinity for sad songs dating back to precolonial times. Unfortunately, it was soiled and diluted out of its original sentiment – a victim of devaluation of its own culture in exchange of adoration of the western’s. So, if you’re thinking “that’s ridiculous, there is no way my love for Barry Manilow’s music stems from my ancestors appreciation for sad songs”, I say don’t be so sure!